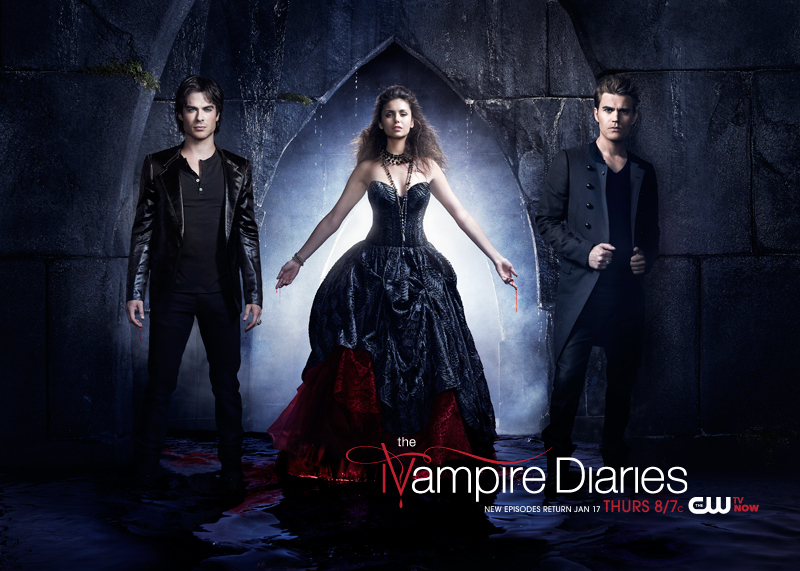 Gotta love The Vampire Diaries and this week’s episode was one to love. Can’t remember what happened last week? Recap the episode HERE to get caught up! Remember how Dr. Maxfield turned Jesse into a vampire? Well Jesse’s back in this week’s “Dead Man on Campus” and first thing he does is bite the hand that made him. Bonnie now back from the dead, but the anchor to life and death, is enjoying college and ready for a rager that Elena and Caroline are throwing for her. First day though could be a tough one as she sees the spirit of someone who is ready to pass on to the other world, which means passing through her and pain. 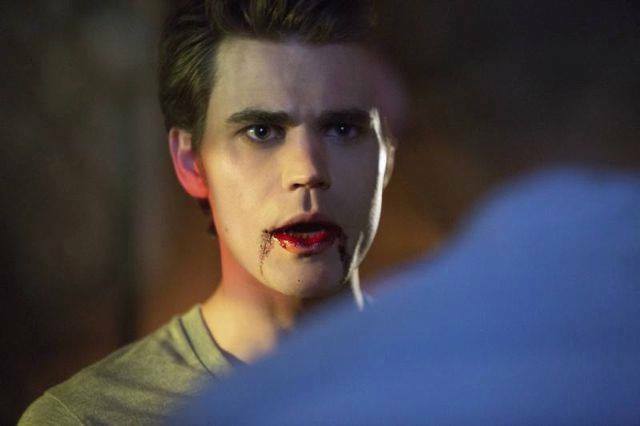 Back at the Salvatore Estate, Stefan is dealing with his personal pains and thoughts he can’t escape. Trying to avoid everyone and not talk about his problems, Katherine persuades him to chit chat with her drunken self. He even gets to meet her daughter Nadia who happened to put a traveler in Matt and now needs her to remove him and find out what he wants. Turns out Gregger wanted to kill Katherine and Silas, good thing Katherine has the dagger that will kill Gregger, which she does and now Matt is free. Now that Jesse is a vampire he calls Caroline to help him after he bites his roommate, little do we know that his roomie is Aaron who’s legal guardian is Dr. Maxfield. 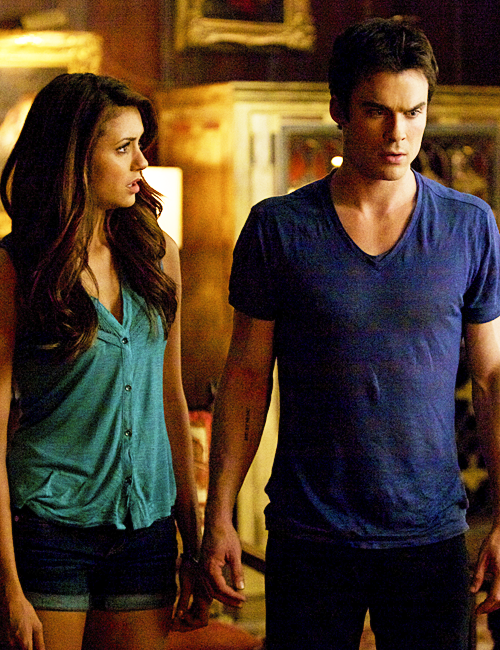 Worried and confused be confides in Caroline and Elena and in the process they teach him how to control himself and cure Aaron. Now it’s party time for all of them back at the dorm room! So Silas is here and ready to die! Last week’s episode turned the mystical evil one back into a witch, Katherine isn’t dead and Tyler left leaving poor Caroline all alone. See the full recap HERE. Now first thing on the list, the anchor, the one thing that Silas needs to shut down so he can die peacefully and reunite with his one true love. While Qetsiyah had a drunk night with Stefan, there were apparently body shots. The anchor is in the hands of the travelers, who constantly move it around so as to never be found. As Qetsiyah tries to go out and defeat Silas she is stuck inside her cabin bounded by a spell performed by Silas. 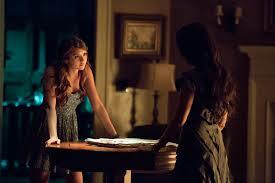 When Elena goes to talk to Stefan, she too is stuck inside with her fav witch. It’s a boy trip for Silas, Damon and Jeremy as they embark to find the anchor. 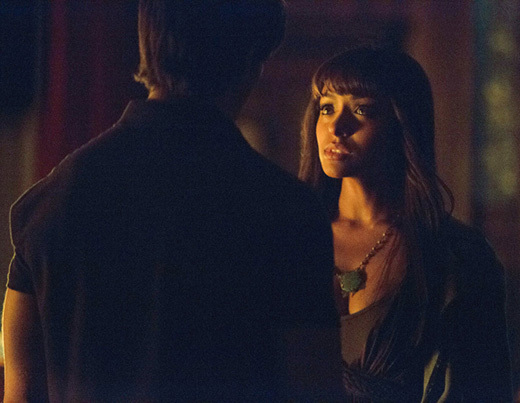 Little do they know that Qetsiyah lured in Elena to use her as bait to make Damon kill Silas and not find the anchor. Which means no coming back for Bonnie as Silas won’t be able to perform the spell to bring her back. Dr. Maxfield is sure to have some things one his mind as Caroline and Katherine team up to take him down. 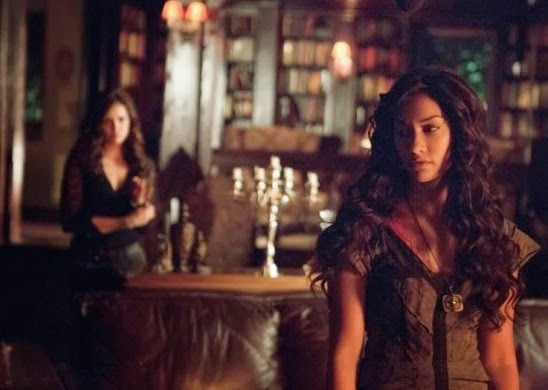 Now trying to drain him from the vervain in his blood to find out what they need to know and then compel him as to not remember what they’ve done.They find out that there is a secret society called Augustine, with select individuals chosen for their extraordinary talents, there is also an Augustine vampire. I’m sure more of this society will come to use as the season progresses. Something is up with Katherine and it is not fun, for her that is. 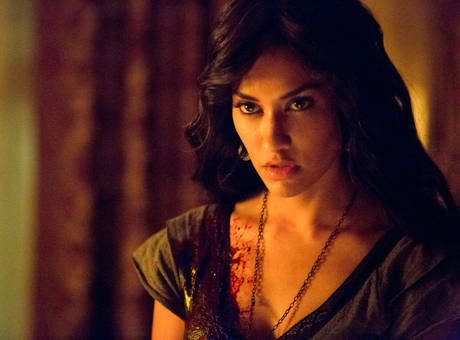 After being drained of her blood by Silas, we all thought she was a goner. Now her hair is turning white and her teeth are falling off and who knows what else will happen. She ends up running back to Dr. M. to have him help her from dying. Elena times three, you’ve got to be kidding me right now! Turns out that Qetsiyah is a smarter witch than we thought, maybe even a bonafied genius! So let me catch you up, Damon was going to kill Silas, he got stopped by travelers who don’t want Silas dead. He calls Qetsiyah and she clues him in on who would need the cure that runs through Silas’ veins. Lo and behold after putting the pieces together we discover that Amara is actually alive! The two together at last until that is Silas rescues her and she drains him of his blood because she can’t go on another day. 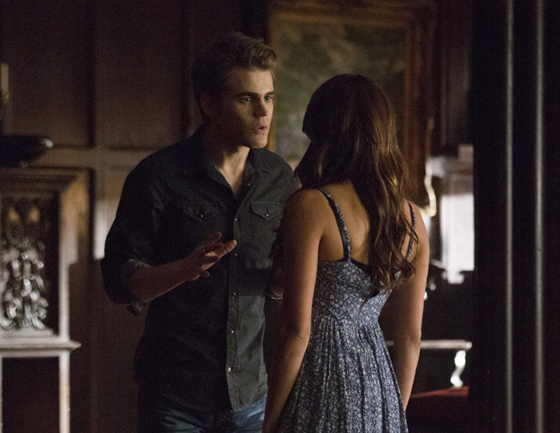 After Stefan rescues Elena from Qetsiyah trying to kill her, he returns to the Salvatore Estate but to find Qetsiyah in his room. She sure loves her revenge! Enraged she makes him remember everything that he had forgotten. The memories are too much for him and for me! Leave Stefan alone! Now with Silas nowhere to be found and a third Elena look-a-like, the show ends leaving us to wonder how many more doppelgangers will there be! What are your thoughts on “Handle With Care”? Too many Elenas to keep track of or not enough?